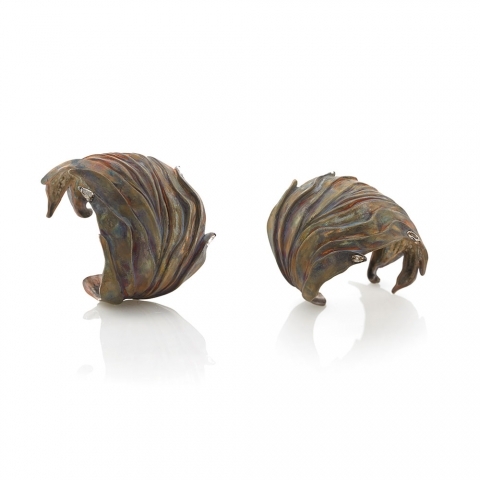 The newest collection of inspiring jewelry pieces from the American Jewelry Design Council’s (AJDC) 2015 Annual Design Project, “FIRE,” will have its inaugural exhibition at the Couture Show, May 28-June 1, 2015, in Las Vegas. This group of over 20 works of unique and handcrafted jewelry by AJDC member designers from across the United States will be on display in the Sunset Hallway just outside the Lafite and Latour ballrooms in the Wynn Resort during Couture show hours. This private exhibition is for Couture attendees and trade professionals only. Public exhibitions of this collection are planned to begin later this year.